Email interview conducted by Josephine Tempongko (DJ Pandai'a). 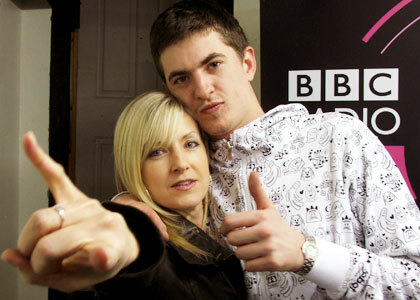 Mary Anne Hobbs is arguably experimental music's most seminal figurehead- having hosted BBC Radio 1's Experimental Show (formerly called Breezeblock) for over 10 years, her relentless pursuit of the electronic underground's most ground-breaking and elemental sounds continues to reward the world with an opportunity to hear something that they've never heard before. From her beginnings covering rock music for the NME and Loaded magazine, to her third compilation of future sounds on Planet Mu, Wild Angels, she has made a life of sharing her insatiable passion for music. This Friday at the Green Elephant, Dallas has the incredible honor of presenting Mary, who will be DJ-ing her incredible arsenal of new music, and she has taken a moment out of her busy tour to answer a few quick questions. How would you describe the premise of your show in a few words, to anyone who were to ask what it was like? What would someone expect to hear, listening to it for the first time? You've no doubt met people along the way who have influenced or inspired you in one way or another- can you name the people who influenced you at the most pivotal moments in your life and what they taught you? John Peel is my greatest inspiration...he taught me never to sell out anything you believe in.. trust your instincts, charge at your dreams and never look back..
Every extraordinary life has met with some adversity- and sometimes the worst times in our lives lead us to the most unanticipated successes- what is the best 'worst' thing that ever happened to you? Something that was very challenging at the time, but was a crucial moment in your life? Running out of knickers on my US tour in September.. lol!! ;) this seems to be a common problem on the road.. I met up with Skream to play in Denver and he was 'commando' (ie without pants) too! How do you go about choosing the music that you share on your show? Is there always a certain quality that you are looking for, that reflects a general idea or vibe that it is your intention to convey? It's impossible to put into words.. it's a quality that is embedded deep within the DNA of a tune.. and it touches the very core of your soul. Since the airing of your 2-hour special Dubstep Warz in January 2006, you have been a champion advocate of the sound ever since. What is it that drew you to dubstep in the first place, and how do you feel about the way the sound and the definition of the word have evolved in the past three and a half years? It's a music that moves me physically, spiritually and emotionally. It's a sound that moves forward in thousands of scattered steps every day drawing in every conceivable influence.. so it's endlessly inspiring. You seem to always be digging for the most extraordinary underground electronic music you can find- what does the idea of 'underground music' mean to you in a time when music is so extremely accessible through the internet? It's a spirit, a freedom, and the signature of an artist who really is the master of his own destiny. Earlier this Fall you had your first official US tour as a performing DJ. What's the greatest thing you've discovered while touring the US? The energy and the hunger and the ambition of the American audiences is phenomenal.. it's such a pleasure and a privilege to play here. What are your top 5 most exciting artists at the moment? You're about to bring something totally new to Dallas this Friday. What will the crowd experience when MAH steps behind the decks? Both Mary Anne Hobbs and Pandai’a perform at the Green Elephant tonight, along with Blixaboy, VJ S, and Royal Highnuss.